Has anyone done a parts list comparison between the old and new UCS Millenium Falcon? I've previously Bricklinked a 10179 and wonder if I can use it as a basis for 75192. The cockpit, gun turret glass and 'chess' table have all appeared on Bricklink. As have the grey mast riggings at an affordable cost. Though I think I'd go with Scottish Dave's engine mod. No need to buy a radar dish because I'll do the square TFA version. Currently got a DBG one. Rebrickable is your best friend! 2182 parts in common (164 unique) that appear in both 10179-1 Millennium Falcon - UCS and 75192-1 UCS Millennium Falcon (excluding spare parts). 3013 parts (224 unique) are in 10179-1 Millennium Falcon - UCS that are not in 75192-1 UCS Millennium Falcon (excluding spare parts). 5354 parts (578 unique) are in 75192-1 UCS Millennium Falcon that are not in 10179-1 Millennium Falcon - UCS (excluding spare parts). I am Bricklinking old Falcon to new Falcon myself, and comparing the parts lists (from rebrickable.com) there's A LOT of parts which have changed colour. I believe this is because sets these days use coloured pieces internally to help you locate and orientate, so it's been modernised. Still, about 50% of the pieces are not common between the models so be prepared to buy a lot. Costing me about $370 for the additional parts, not including the 6 new designs which I'm waiting (and hoping) to appear on Lego's Bricks & Pieces site in February. I've made 4 Bricklink orders and only have the 1 Lego Bricks & Pieces order to go for 450 of the rarest parts ($95). Note that I have more than just the 10179 to source parts from, so yours might cost more. I Bricklinked the old one too. I just keep adding onto the brick collection what I need to build another model. So I can't build multiple models at the same time but I have the required parts to build the AT-AT, AT-ST, Clone Turbo Tank, TIE, Venator, Super Star Destroyer, and Millennium Falcon. That's a good idea. Doesn't work this time sadly. Just ran the remaining list through Rebrickable. There's no existing sets that contain more than 25% of the parts I require, and all the sets listed are more expensive than just buying the pieces from Lego directly. Here's an update for the Bricklinkers. I placed my last part order yesterday at LEGO Bricks & Piecex for parts which were not as readily available on Bricklink. I also emailed LEGO asking about the availability of the new cockpit window pieces. 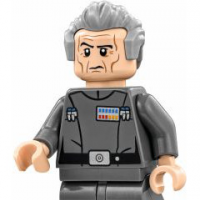 They tell me that the cockpit window pieces will never be available to purchase individually as LEGO are not licensed by Disney to sell them. Major disappointment. Not sure what I will do for those last few pieces. Can't justify spending over $100 on them. Thinking might need to MOC something, maybe blend in the original 10179. Here's some of the swaps you can do to save a heap of money buying the new parts that are in this set.